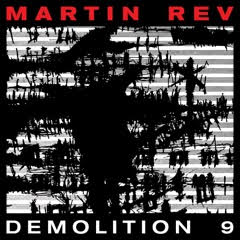 Martin Rev, the iconic co, is releasing his 9th album project Demolition 9 on Atlas Realisations on 26 May, 2017. The album contains his first new recorded material since 2009. Comprised of 34 wildly divergent vignettes – only one of which reaches three minutes in length – he describes it as autobiographical “yearning for joy and the unattainable perfection of the artistic ideal.” The record spans a lifetime’s worth of moods and musings, encompassing fragments of Rev’s varied passions accrued across his nearly half-century long career. From violent percussion experiments to neo-classical reveries to noir-sleaze abstractions and beyond, Demolition 9 offers a radically non-linear spelunk through the dreams and distractions of one of the 20th century’s most influential sonic iconoclasts. To celebrate the release Craig and Martin will be doing selected duo performances in 2017 along with their usual solo work. See dates page….